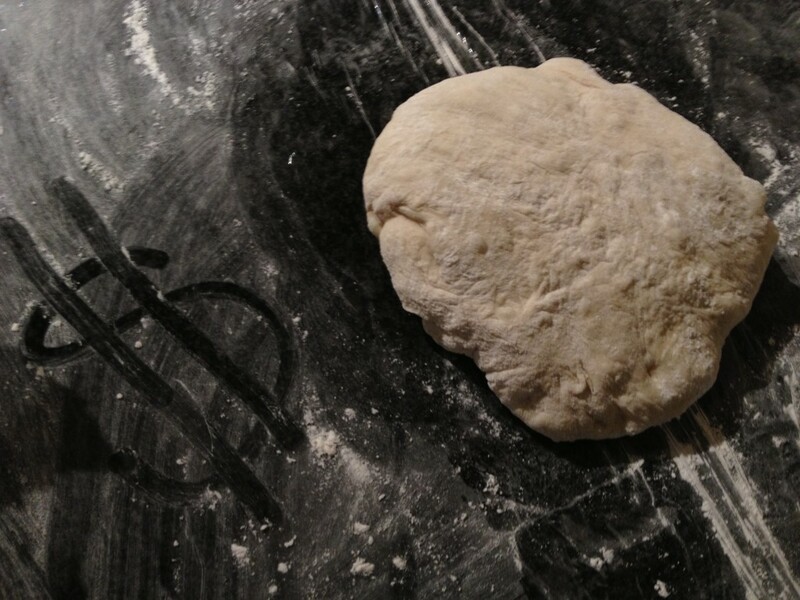 Tip of the Day: Save on dough! I love a good pizza. A soft, chewy crust topped with a slightly spicy tomato sauce, covered with melted cheese and a number of delicious toppings is my kind of pie. However, ordering a large pie from a pizza chain can cost $10 or more. Don’t get me wrong, I order delivery pizza every now and then, but most of the time I make my own. A pre-made pizza crust can be a huge time saver during the week. I’ve tried the pizza crust in a can from the refrigerated section, but I think it tastes more like a biscuit than pizza crust. So, I have turned to the deli for my dough. I can buy a dough ball (white or wheat) for about $2.50. When it goes on sale I can usually get it for $1! How’s that for saving some dough?? Corny jokes aside, this is a great way to cut costs and still make something your family will like to eat. You can save more by making your own pizza sauce instead of buying the jarred pasta sauce. Now, all you need are the cheeses and toppings! 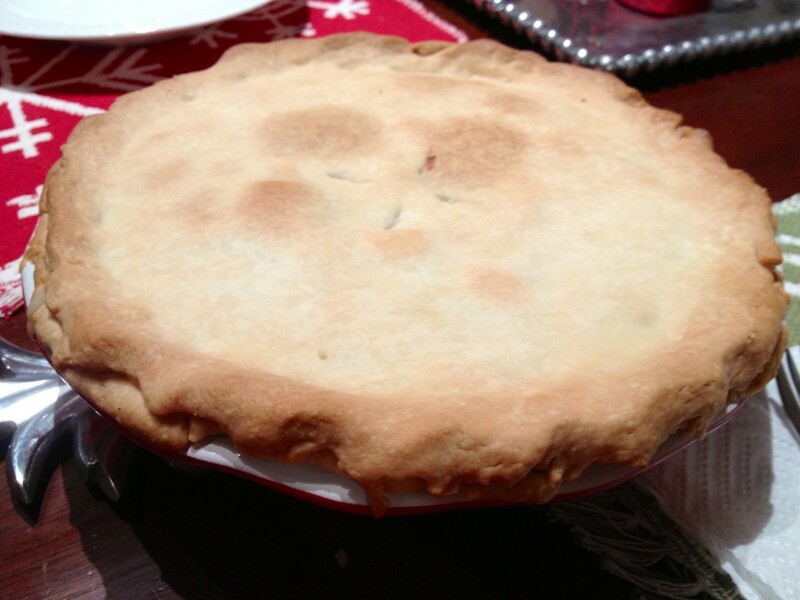 Oh, and one more plus to making your own pie–you get a great arm workout rolling out the dough! I’m making one tonight! P.S. To avoid a sticky situation when rolling out the dough, use a good bit of flour on your work surface and rolling pin. I also sprinkle cornmeal on my pizza stone before baking the pizza. Who want’s to spend the afternoon inside preparing dinner when it’s so pretty outside? Not this girl! So, I am making Slow Cooker Balsamic Roast Beef that I found on Pinterest from addapinch.com. It takes just minutes to prep and the slow cooker does the rest! Place roast in the slow cooker. Mix all remaining ingredients in a 2-cup measuring cup. Pour over the roast and put the lid on. Cook on high for 4 hours or on low for 6-8 hours. When roast is done, use tongs to put it in a serving dish. Ladle about 1/4-1/2 cup of the gravy over the meat. Store the rest of the gravy in an airtight container to use later. I love the simplicity of this dish! I am serving mine up with a side of garlic mashed potatoes from Paula Deen. The author of this recipe suggested using the leftover meat and gravy for French Dip subs. I love a 2-for-1 dish! This recipe was posted with love by the TSB, but was created by addapinch.com. Roll-up your sleeves! Roasting a chicken requires getting your hands a little dirty, but the end result is worth it. I remember the first time I roasted a chicken. I bought a 3 lb fryer chicken and brought it back to my teeny first apartment to prepare it for dinner. As soon as I took the plastic wrap off I realized the bird I bought still had all of it’s organs inside (usually they put them in a neat little bag you just pull out)! The next few minutes were a combination of working up the courage to stick my hand in, trying not to freak out once I started pulling the slippery little organs out, and doing my best not to look at them. Let me tell you, I felt so accomplished and grown-up afterwards! So, here’s to getting messy in the kitchen! Tip: Use a plastic grocery bag to keep the chicken juices from going everywhere. I set the chicken in the bag and take the plastic wrap off of it. Then, I transfer it onto a cutting board to season and stuff. All the juices and giblets stay in the bag. Easy clean-up! Cut the lemons into quarters. Then, peel and slice the onions and put them into a medium bowl. Put 6 lemon slices in the bowl with the onions. Toss the lemons and onions with 2 tablespoons of olive oil, 1 teaspoon of salt, and 1/2 teaspoon of pepper. Set aside. Now, for the chicken. Remove and throw away the giblets. Place the two remaining slices of lemon and all the garlic cloves inside the chicken cavity. Pat the outside of the chicken dry with a paper towel. Then, rub the outside of the chicken with olive oil and sprinkle with salt and pepper. Tuck the wings tips under the chicken. Put the chicken in a small ( I used 11 x 14) roasting pan. Pour the onion mixture closely around the chicken (the lemons and onions will burn if they are too spread out). Roast for about 1 hour and 20 minutes. 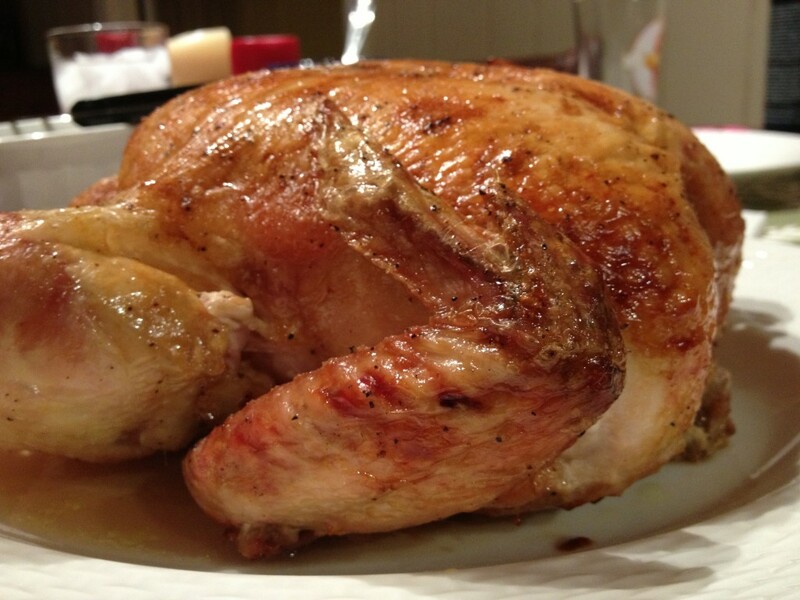 The juices should run clear and the temperature inside the thickest part of the leg should register 165 degrees. Carefully, move the chicken from the pan to a platter. Cover with aluminum foil and let it rest for 10-15 minutes. Almost done! Spoon the juices and onions from the pan into a nonstick skillet. Heat over medium-high heat. When it’s hot, add 1/2 cup of the chicken stock (from the carton) along with 2 tablespoons of flour to the pan. Whisk until the flour is blended in. Add more chicken stock if you want to the gravy thinner. Carve the chicken. Serve slices topped with the gravy. Enjoy! There are two more reasons why I love a good roast chicken. One, it doesn’t cost a lot. This chicken was only $0.69 a pound! Two, I have enough chicken left over to make a chicken pot pie tomorrow night. How’s that for two meals in one? 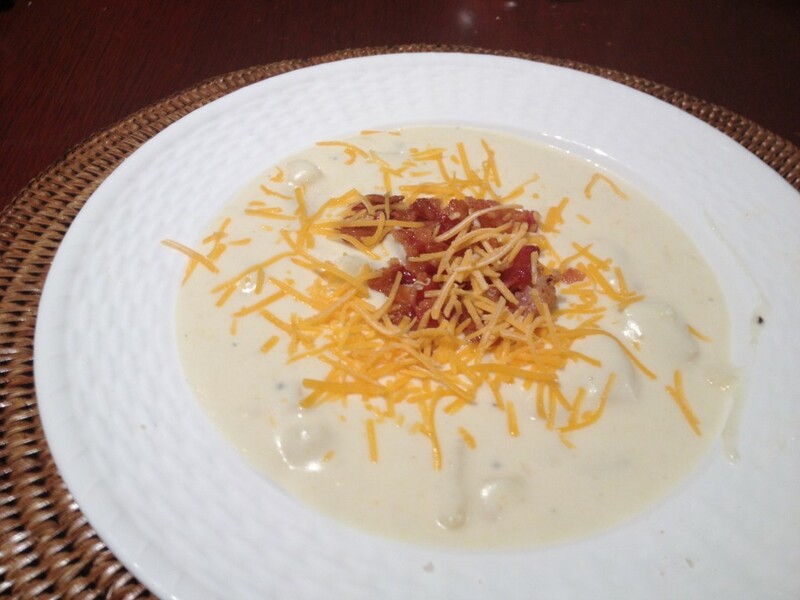 *This recipe was adapted from Ina Garten’s cookbook, How Easy is That? Last Wednesday (meal planning day around here), I planned to make Turkey Chili for dinner tonight. I couldn’t have picked a better day! Little did I know it would be rainy and cold outside. Those two conditions are perfect ingredients for a big pot of homemade chili. This chili is easy to make, it just takes some time to cook. Note: The chili has to simmer for one hour. I don’t like getting to the bottom of recipes and realizing it takes longer than I thought! In a large skillet, saute onion, bell pepper, and garlic in the olive oil. Saute until the onions are translucent. Add the ground turkey to the skillet and break it up with your spoon. Cook until it’s brown. Reduce heat to low and let simmer for 1 hour. Stir occasionally. In a large bowl, mix cornmeal, flour, baking powder, sugar, and salt. In a smaller bowl, mix milk, egg, butter, and honey. Pour the wet mixture into the bowl with the dry mixture. Stir until just mixed. Place 6 muffin paper liners into a 6 cup (or 12 cup) muffin tin. Fill each cup about 2/3 full. These muffins are moist and sweet. Drizzle extra honey over the top if you like or dip it in your bowl of homemade chili! Note: Both of these recipes came from foodnetwork.com, but were put together with love from The Southern Bee!